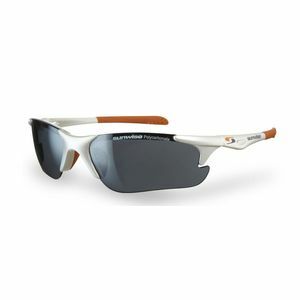 Sunwise® Interchangeables have a variety of durable, lightweight, comfortable, secure-wearing models and are proven best sellers. Twister White includes two sets of high definition, lightweight and shatterproof polycarbonate lenses, to ensure the very best visibility whatever the light conditions . High cut lenses for greater ventilation. Lightweight, flexible and secure fitting. low, medium , strong light interchangeable lenses with each pair. Superb visibility in strong glare conditions . Flat arms profile – perfect for wearing under a cap or a helmet.